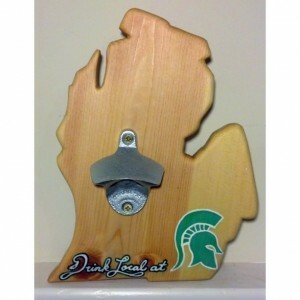 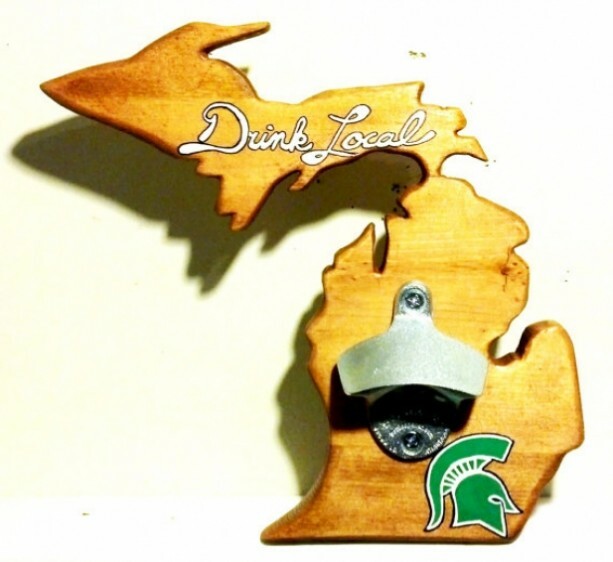 Support your favorite Michigan Team with Drink Local's MSU Bottle Opener! 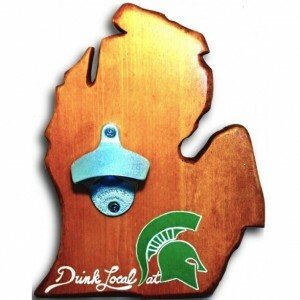 Made from Pine Wood and handcrafted for your taste, this Drink Local - Michigan State University bottle opener wall decor is perfect for your bar, home, or local business. 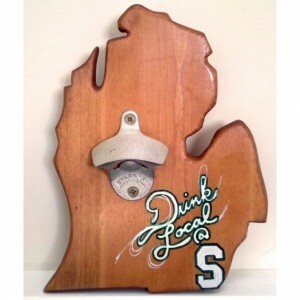 This product comes pre-assembled but includes all pieces. 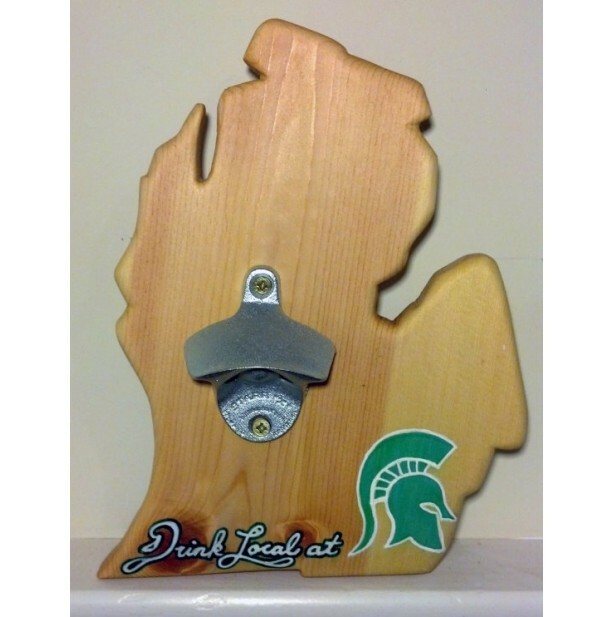 The simple installation is screwing the bottle opener into the pre-drilled holes and through the back of the wood straight into your wall. 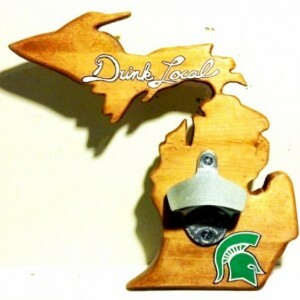 Why you need this? Because let's face it, good beer doesn't come with a twist off top.